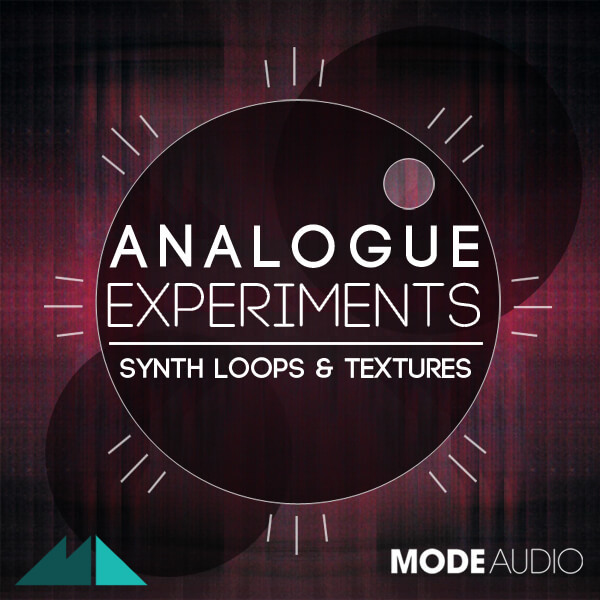 ‘Analogue Experiments’ brings you the sound of unstable oscillators, mangled filters, hair-raising amplifiers and crackling faders – ModeAudio welcomes you to the world of a classic analogue synth on the edge of oblivion! Up from the depths comes 120 crazed synth loops courtesy of EMS Synthi A – one of the most characterful and intriguing analogue synths ever known. Famed for having a mind of its own, ModeAudio has attempted to harness all the wonderful sonic chaos of this schizophrenic synth and the result is this set of 120 unique and unpredictable synth loops. Stand back – there’s no telling what it’ll do next! ModeAudio has been battered, bruised and zapped by the static, but out of the debris has come ‘Analogue Experiments’ featuring all of the inimitable artefacts of the Synthi A. From drifting oscillators to crosstalk and crackle, the beautiful insanity of this special synth is now at your disposal. If you want to give your music an injection of demonic, analogue intensity, you’ve come to the right place. Everything from shrieks, shudders and pure bass to interference, clicks and whooshes is included in the pack – these are the truly expressive sounds of ModeAudio’s favourite synth being pushed to the limit. Put on your lab coat and set the dials to ‘Stun’ with ‘Analogue Experiments’!